Discussions about racial equity and social justice have become a more intentional part of our regional conversations on housing affordability. Understanding the meaning of institutional racism, white privilege and the de jure and de facto barriers to full participation in the housing markets help us view our land use policies and housing patterns through a social equity lens. The Fair Housing Act of 1968 requires all jurisdictions receiving federal funds to do an Analysis of Impediments (AI) on a regular basis, identifying barriers to housing choice, taking steps to remedy those barriers and keeping accurate records of the process and the findings. Molly Jacobson, our Communications and Policy Associate, has compiled a summary review of AI reports for four Northern Virginia jurisdictions, bringing to light those policies and practices that are discriminatory to low income households and people of color. 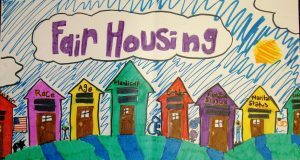 While we understand that these reports are presented to elected officials as they are released, we believe that a more robust conversation about the impediments to fair housing that includes the broader community should be had. Only when we achieve a greater awareness of how we have institutionalized practices that are exclusionary, will we be able to adopt policies and systems that foster diverse, inclusive communities for all.